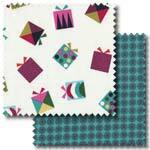 Pelenna Patchworks: Great range of Makower Christmas fabrics now in stock! 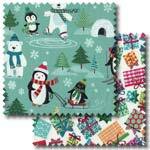 Great range of Makower Christmas fabrics now in stock! 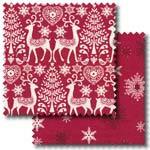 Christmas has come early to Pelenna Patchworks with the arrival of this year's Christmas fabric ranges! Fun prints perfect for kids make up the Makower Frosty range, while the bright, modern colours of the Makower Wrap It Up collection are ideal for the grown ups! We also have new prints for 2016 from the Makower Scandi range, stunning Nordic inspired designs that are simple but incredibly effective. 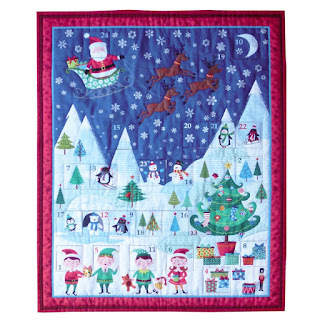 Tying in with all these new ranges are the Makower Advent panels and stocking panels. These make ideal small projects that the kids will love in the run up to Christmas - use the Advent calendar panels or Advent stocking bunting to build up the excitement, then fill up the stocking on Christmas morning!